To be honest that iTunes is one of the best tools to put your music on your iPhone X/8/7/6S/6 (Plus) and manage your songs. However, it’s achilles' heel is that it requires you to pair your computer with your iPhone, which means you have to sync your iPhone with the paired computer. Otherwise, you'll lose songs on your iPhone. What a pity! Is there any way to add songs, ringtones to iPhone without iTunes? Surely, there are. Check out the ways below to transfer music to iPhone X/8/7/6S/6 (Plus) without iTunes. Sync music to your iPhone without losing any current ones. You can also learn more about how to transfer music between iPhones. Click Start Download above to get the installation package of dr.fone (Mac). It will help you transfer music to iPhone without iTunes on your Mac. After installing it, run it right away. Choose Transfer and connect your iPhone with your Mac via your iPhone USB cable. After that you can see your iPhone appears in the window of dr.fone - Transfer (iOS). If dr.fone - Transfer (iOS) detects your iPhone successfully, it will put your iPhone on the main window. Click Music at the top of the main window, and you will enter the Music window by default; if not, click Music in the left sidebar. And then click Add to find songs on your Mac. Select songs and click Open to put them to your iPhone. If a song is not in iPhone supported format, a popup window will tell you and ask you to perform the conversion. At this time, you should click Convert. After the conversion, it will be copied to your iPhone successfully. Install dr.fone - Transfer (iOS) on your computer and run it. Connect your iPhone with your PC through the iPhone USB cable. Click Music at the top of the main interface. After the clicking, by default, you can see the Music management window. Click the Add button and then select either Add File or Add Folder. It depends on you. If you only need to transfer selectd songs from your music collections to your iPhone, you're supposed to click Add File. If the songs you're going to put on iPhone are collected in a folder, you should click Add Folder. After that, you should browse your computer and import songs to your iPhone by selecting the songs and then clicking Open to complete the transfer. MediaMonkey is usually used as a media player for Windows. However, it does more than that. Beside letting you manage your music, videos, podcasts and other audio files, it allows you to transfer music to your iPhone without using iTunes. Click Tools > Sync Device, and then you can put songs on your iPhone. CopyTrans Manager is claimed as a replacement of iTunes to manage iPhone. It really is in adding songs on iPhone. So it could be a good tool for you to put songs to iPhone without iTunes. However, it's only designed to sync songs to iPhone. There is no extra feature for it. Moreover, it does not appear as a standalone tool, but appear with other tools after you install it. To use it, just click its name on the interface to launch it. Now it only works for Windows PC. 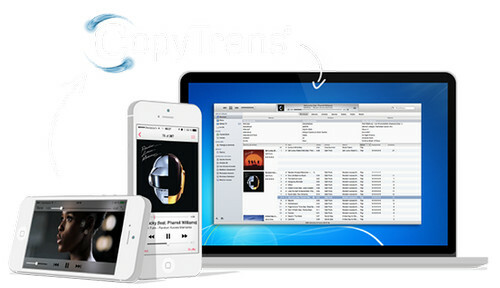 SynciOS is another good transfer tool you can use to transfer music to iPhone without iTunes. 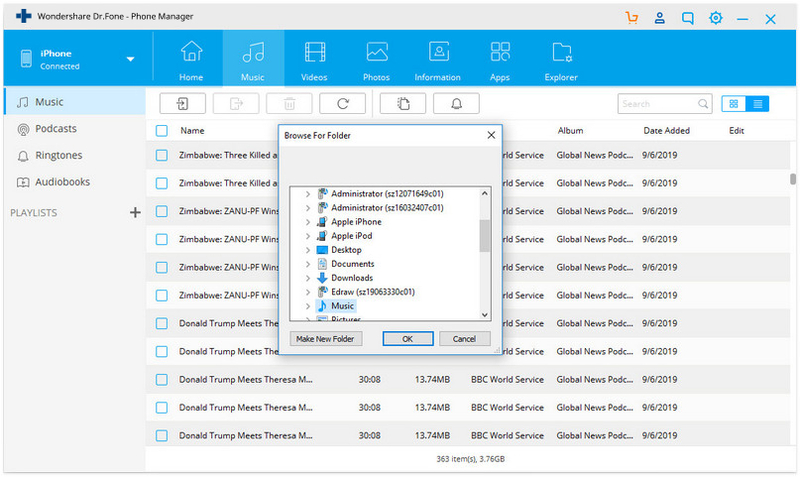 It allows importing music from your computer to your iPhone easily. Like dr.fone - Transfer (iOS), it supports audio files in multiple formats. If you plan to transfer music to your iPhone without iTunes, it could be an good option. However, it doesn't offer as many features as dr.fone - Transfer (iOS) offers. And if you want to try the extended features, you must pay $39.95 for the Pro version. Google Play Music is not only a place to buy music but allows you to add up to 20000 songs from your computer to the cloud for free after you sign for a standard account. 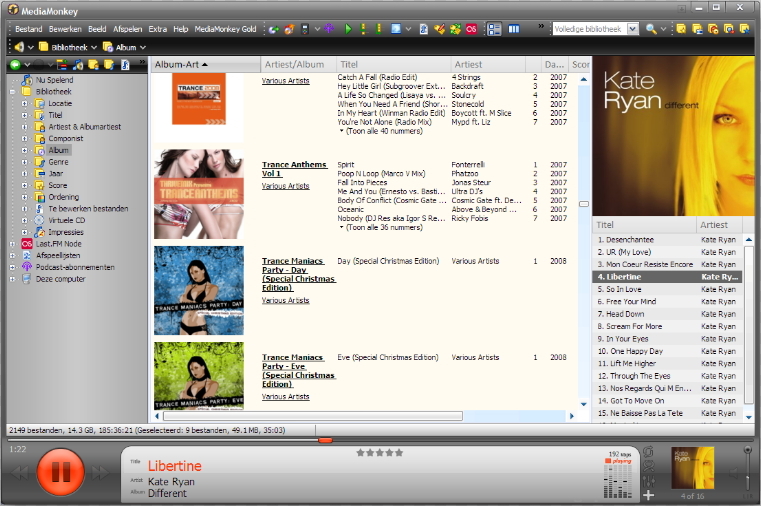 You can install the Music Player on your computer to upload your songs first. And then install the Google Music client, Melodies on your iPhone to play music you've uploaded to your account in cloud. Amazon Cloud Player enables you to upload 250 songs from your computer to the cloud for free. If you want to upload more songs from your collection, you'll need to pay $24.99/year for up to 250000 songs. 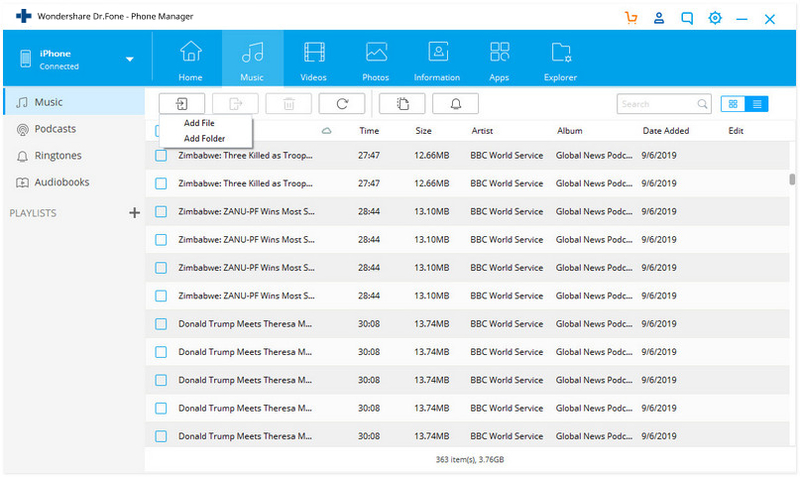 You can use the desktop Cloud Player to upload your songs to the cloud. And then install Amazon Cloud Player for iPhone to see and play these songs you put on your iPhone. Dropbox functions like a container where you can put all your files in. But it functions much better. It puts your stuff anywhere you need. After installing Dropbox on your desktop, you can drag and drop your songs to it. And then install Dropbox on your iPhone and sync it, you'll find that your songs are there on your iPhone. Simple, right? A comprehensive guide to show you how to transfer music from iPhone to iPhone with the easy steps.There is no need to find more answers after reading this!